A fantastic 3 bedroom villa in Ayia Triada (a lovely beach) in a quiet residential cul-de-sac on the main bus route. Just 5 minutes walk to beautiful beach at Ayia Triada and in the other direction Serena bay and the Golden Coast Hotel beach. The bright and airy feel of this villa! 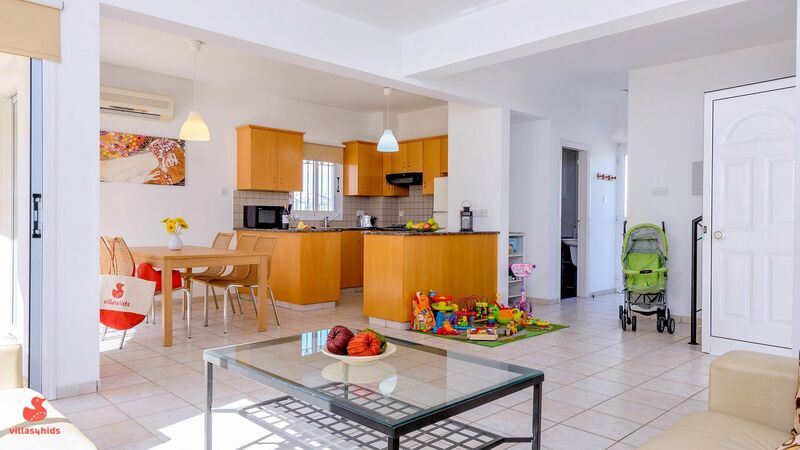 Villa Anastasia is a spacious 3 bedroom villa. Three bedrooms are upstairs; the master bedroom with king sized bed is en-suite and the other two twin bedrooms share a family bathroom. There is space for cots in any of the bedrooms. 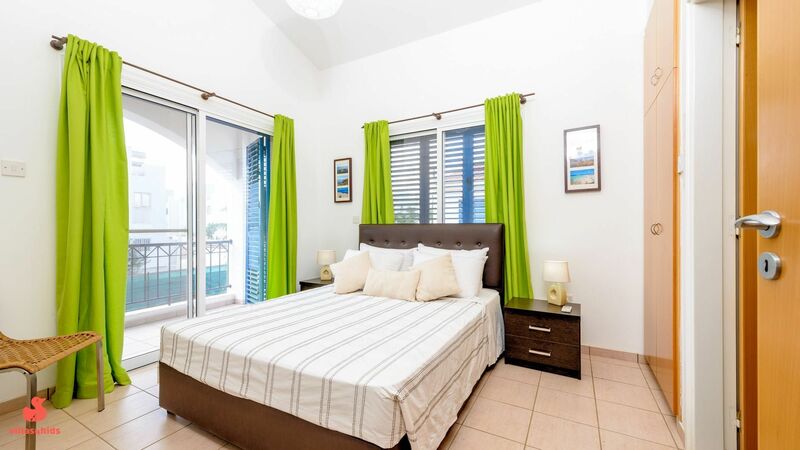 The master bedroom shares a balcony with one of the twin rooms and overlooks the pool. Downstairs is open plan with kitchen, dining area and a comfy lounge. There are two sets of patio doors that open out to the pool area. 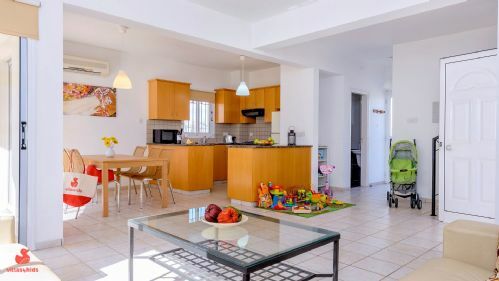 Being down a cul-du-sac with other villas, we often find children from the neighbouring villas gather to play together in front of the villas in the evenings. A lovely private garden with bordering plants and plenty of space and a large Cypriot style stone built BBQ which is great for cooking outside. There is a bolted gate to ensure you control access to the garden and sea views. If you need it we provide fencing across one section of the garden to create a toddler play area with play house and toys so one of the patio doors has access to it. This means you can leave that door open so toddlers can play inside or outside in the fenced area away from the pool. The pool is 8 x 4 m. There's outside dining for 6 people with a large sun umbrella, sun loungers plus pool and garden lighting if you like sitting outside late in the evening. The villa is located in Ayia Triada near Kapparis; a beach resort on the East coast of Cyprus just north of Protaras and Pernera. Kapparis is an up-and-coming town which has all the amenities of a bigger resort without the downsides. 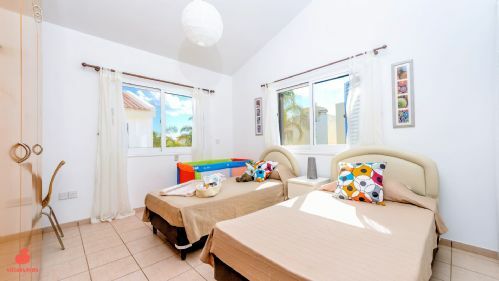 The villa is only 5 minutes walk in one direction to the safe sandy beaches and the same distance in the other to several restaurants and shops. There are more restaurants, bars and supermarkets in neighbouring Kapparis. There are 3 local beaches to choose from. 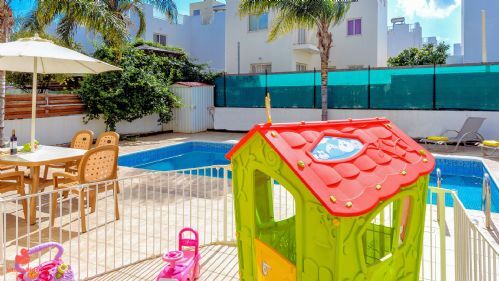 It's just 5 minutes walk to the safe sandy beach at Ayia Triada (Trinity beach) a family beach ideal for toddlers to play at the waters edge safely. It is very well maintained and has sunbeds & umbrellas for hire (€2.50 a day). The beach is a sandy crescent and has a small fishing harbour (you can get very fresh fish if you catch a boat coming in!) and Fisherman's church at one end which is always good for a stroll with the kids. Serena bay is a 10 minute walk and Golden Coast is 15 minutes walk on the way into Pernera; it's part of a large hotel offering all the normal facilities. You can drive and park at the beaches too if you've got too much to carry. All the beaches are sandy and very sheltered (so perfect for paddling) and along the edges of the coves there are rocky pools & caves to explore! The snorkelling is amazing. Ayia Triada has several traditional restaurants offering local dishes and specialising in fish. A local grill house offers eat in and takeaway traditional Cypriot grilled kebab and burgers, if you fancy a lazy evening around the pool. Thelassa is an event venue offering jazz and other entertainment in their restaurant overlooking lawns and the beach. Just down the road is Kapparis; a very family friendly town with around 10 great places to eat including Italian, Cypriot & Greek European. There is a very nice modern Italian place (called Just Italian) and 3 local Cypriot restaurants that we really like. Our favourite is Faliros where the food is fantastic, cocktails are 3 Euros and they have great entertainment on Thursdays! There are about 6 bars, ranging from Mello which is very relaxed with comfy soft sofas inside & out to relax on, to the sports bars that focus more on the latest sports and have pool tables etc. There are plenty of other shops and a fabulous bakery called Marangos which has every type of dessert you could imagine; cakes, breads, sweets and they do takeaway food like lasagne and roast chicken if you don't fancy cooking. We had a fabulous holiday. Short but fabulous! I think we will book again with Villas4kids next year. PS: Thanks for the chocolate cake for A-S’s birthday! It tasted really good!!! Please also say hello to Rosie. She was very nice! I just wanted to add that this has been the best and most stress free holiday we have had as a family ever. 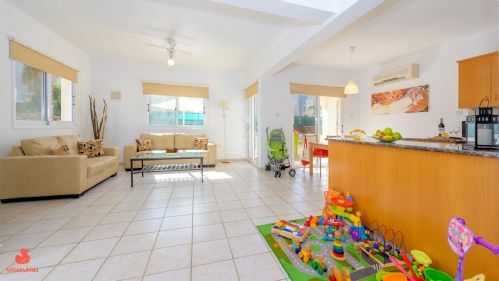 It’s been wonderful having the freedom of a beautiful villa knowing that it’s child friendly also. The neighbours were all extremely friendly and helpful too which makes a real difference! 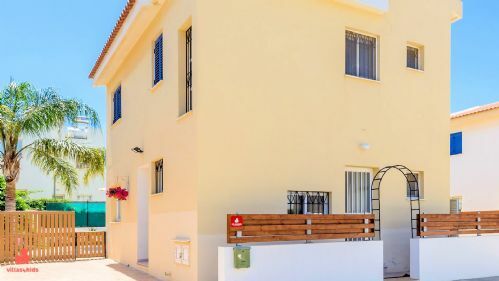 I was initially worried that being in a residential area the neighbours may not be keen on it being a holiday rental property but that couldn’t have been further from the truth. They were all a delight. Thank you for a wonderful stay. We can’t wait to book again!! Booking felt really personal - lots of quick and helpful responses, was the most efficient and easy booking of a holiday so far. Everyone was so lovely and friendly. Took the stress out of things. Best thing about the holiday - the nice surprises in the villa. Things like not having to immediately go out to stock up on water and having loads of toys for the kids to entertain themselves was amazing! We had a great time and thought the villa was perfect for our family holiday. The moment we arrived we could see how much effort you had put in to making this so family friendly. The pool was absolutely great and on first impressions we felt a bit overlooked in comparison to other villas we have stayed in, but it was surprisingly quiet and didn’t feel like our privacy was invaded at all. We had an awesome time and would highly recommend it. Just back from an amazing week in villa Anastasia and just wanted to say how perfect our holiday has been! The villa was outstanding, everything we asked for was set up. We literally walked through the door and started enjoying our break - no need for baby proofing with 2 very active 1 year olds! Location was perfect!!!! Rosie in resort was great, very informative and easy to get a hold of with any queries or information we required. Thank you soo much, it really has been a seamless experience from start to finish! Booking was soo easy and it’s lovely knowing we can contact yourselves via email and get a timely response to any queries we had before travelling. Can’t wait to book through yourselves again! This villa was just what we were looking for. 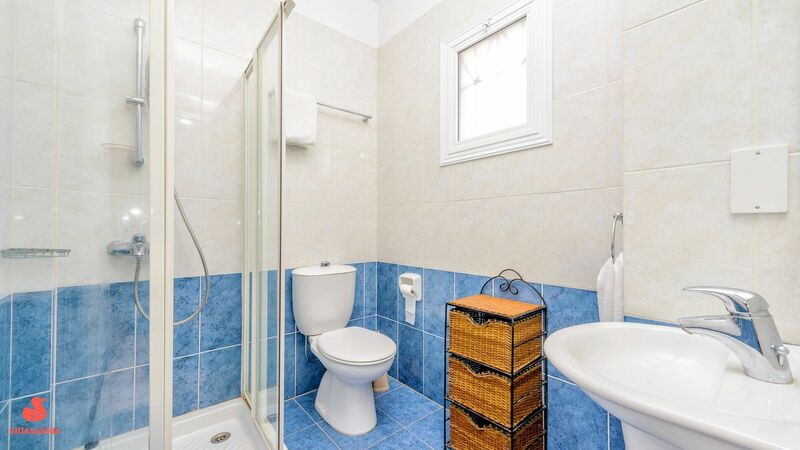 Clean, spacious, lovely pool and well located. Just a few minutes walk to the beach and restaurants close by. Perfect for kids. Lovely Villa. 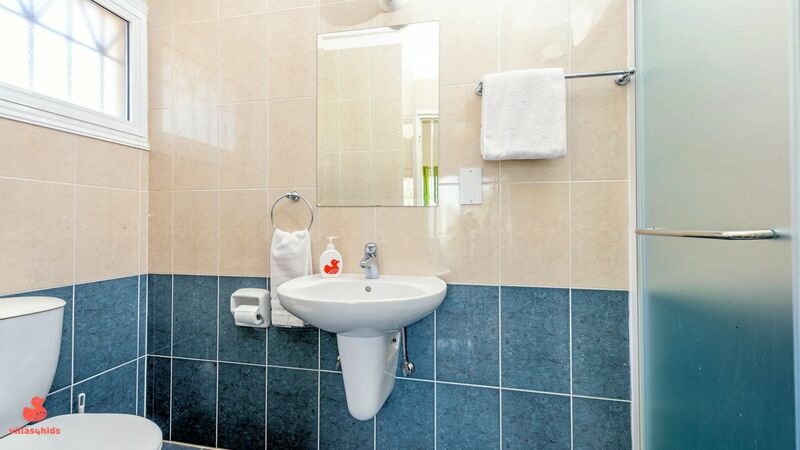 Clean, comfortable beds, lots of space inside and out. Lots of good places to eat near by. Excellent size pool. Lots of toys. Safe. Great beach near by and lots more a short drive away. Supermarket in town also well stocked. 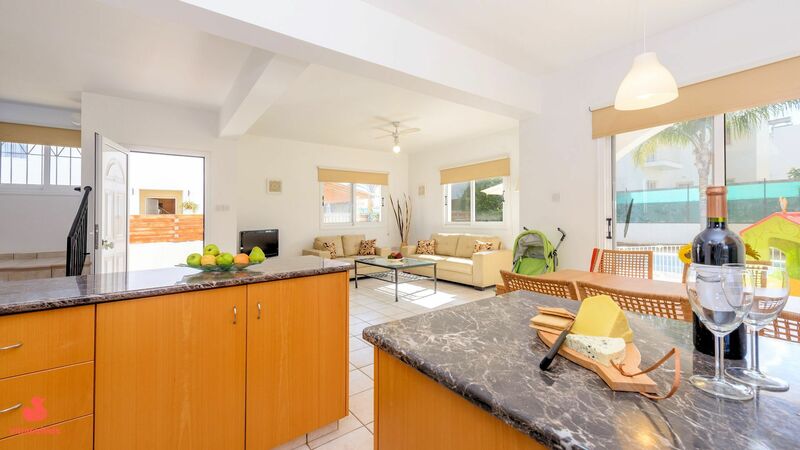 Located in a nice quiet area within easy walking distance of the beach and shops . Including a fantastic bakery. Everything was provided for the baby and toddlers including some really nice toys. They loved the wendy house. The transfers to and from the airport was extremely good and provided car seats for the little ones. We used them several times during our stay. We all thoroughly enjoyed our holiday and wouldn’t hesitate to stay again . Best thing was having time as a family in the pool/beach, weather was amazing. We've just stayed at Villa Anastasia and had a wonderful time. 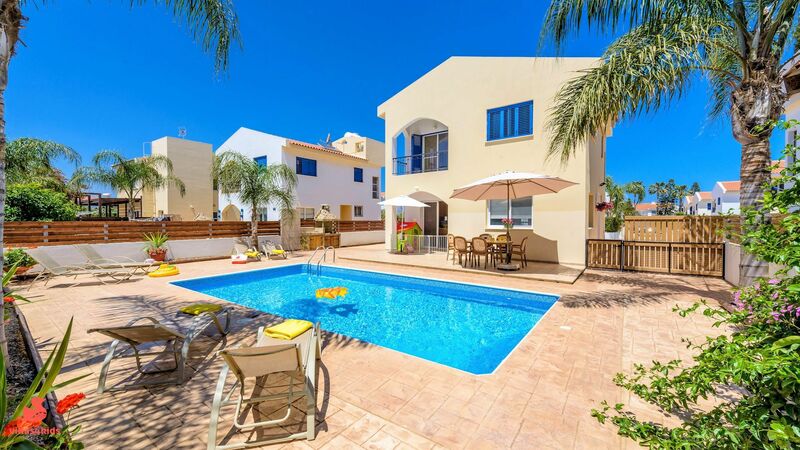 The location is perfect only about 15mins away from Aiya Napa and beautiful Nissi beach. Tony's (outdoor soft play, bar and food) is about 2mins car journey away and the kids loved it. We enjoyed it too as we could actually sit and relax while the kids played. The Waterworld Waterpark is about 10mins (drive away) and is expensive but great! Advise - spend the whole day there and prior to going try asking around (at Tony's?) if anyone has already been and collected a discount voucher!!! Worth an ask! The villa had everything we needed for our 3yr old. He loved the pool. The one thing we didn't have for our 10month old was a walker and I've just discovered if I'd asked, the manager could have supplied one! (Doh!) 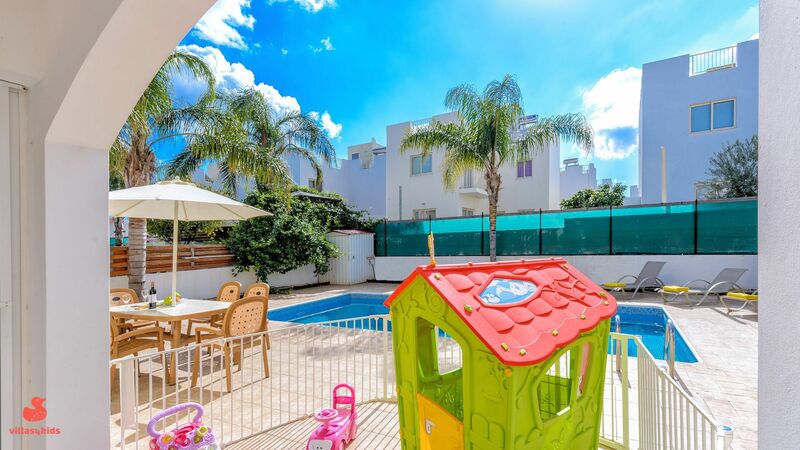 Villas4kids we're extremely helpful with their correspondence and customer service prior to and post our holiday. Didn't want to come home! The villa is lovely. 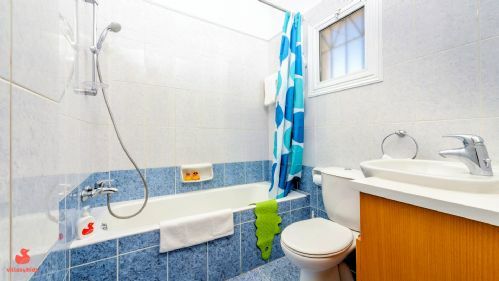 It is spacious, bright, safe and clean. A real home away from home and had everything we needed. The pool is fabulous and the garden is a real sun trap but having the sanctuary of the villa and air con for my daughter. She loved splashing in the shallow end of the pool, while the deep end was a great size for us adults. The area is quiet and safe. There are a few shops, restaurants and bars a short walk away (the bakery is amazing) but for anything else we were glad we had hired a car. The owner was brilliant and let us know everything we needed to before departure, and answered a lot of questions. They provided DVDs and toys for my daughter which was just lovely when you're limited luggage wise as to how many toys you can bring! Rosie stopped by after we arrived and let us know all about the local area and although we didn't need her, it was reassuring having her number to contact her should we have needed to. We have had the nicest, most relaxing week at Villa Anastasia and wouldn't hesitate to recommend. We stayed in Villa Anastasia for 16 nights from 16th September to 2nd October. We were 5 adults and a five month old baby. We used the transfer company recommended by Villas4kids and they were excellent. The villa was just as advertised and was spotlessly clean. The kitchen was well supplied with equipment and storage space and the sitting area was spacious with comfortable sofas. Wifi was available and quite fast for most of the time. 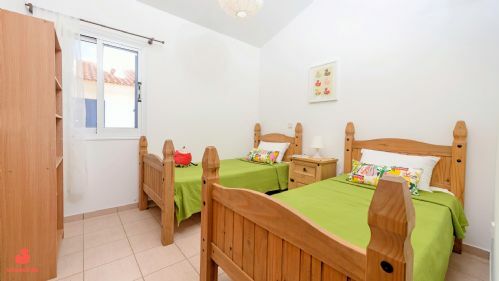 Bedrooms were also spacious and a cot was provided which was in excellent condition and very clean. There were toys suitable for a small baby together with a high chair, rocker, baby alarm and pushchair. Outside there was quite a large pool and lots of room around the pool. One of the reasons I chose this villa was because there seemed to be plenty of space outside. There were 6 sun loungers, plenty of inflatables and a table and chairs where we would eat outside in the day. There are places to eat close by and plenty more a short drive away in Pernera town. The bakery, Zorbas, which is within easy walking distance of the villa is amazing with freshly made bread and pastries and also a good choice of ready meals. Rosie the Villas4kids representative came to see that everything was ok on our first morning and again just before we left. During our stay we had a problem with the dishwasher but she arranged for this to be sorted even though it was a weekend. We all had a great time and would definitely consider returning to this villa in the future. 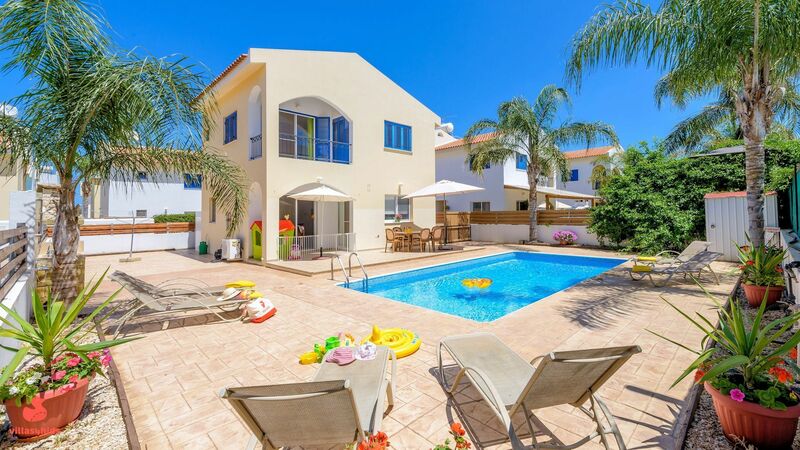 I have no hesitation in recommending this villa.